I've been in denial about having voles on our property for the past 2 years. We'd occasionally step on some "squishy" areas in the yard, which means the beasts have tunneled under the grass, but they were random. Once in a while, I'd spot a hole in a mulched area, but didn't want to admit to what was secretly being whispered in the back of my mind...VOLES! 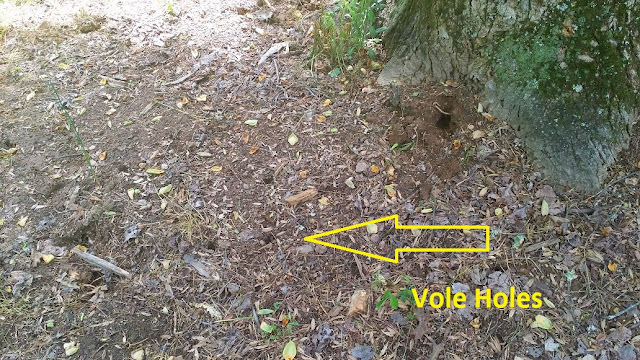 Just even mentioning the word "vole" around some gardeners or farmers is enough to send chills down their backs. 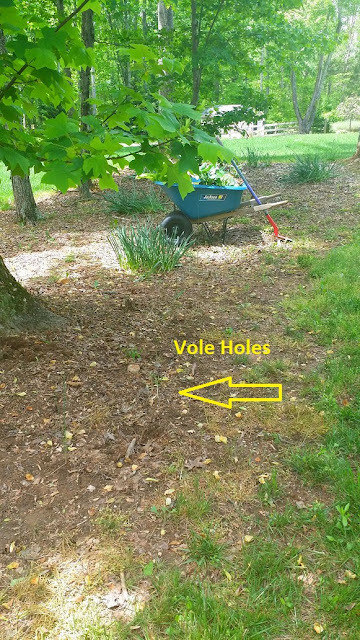 For the very lucky and uninitiated, unlike MOLES, which are carnivores, VOLES are herbivores and will decimate your yard and most of your landscaping if not kept in check. Sometimes they are called field mice, but that is not necessarily true, as a vole has a short, stubby tail and burrows in the ground. They multiply incredibly fast and frequently, but seem to have cycles in their population from year-to-year. Moles can be controlled...you remove their food source, like grubs in the lawn, and the moles go away. With voles, they eat most plants and grass, which is basically your entire yard, so there's no way to "just get rid of" that, right? You either fight or succumb. This year it is bad and desperate times call for desperate measures. 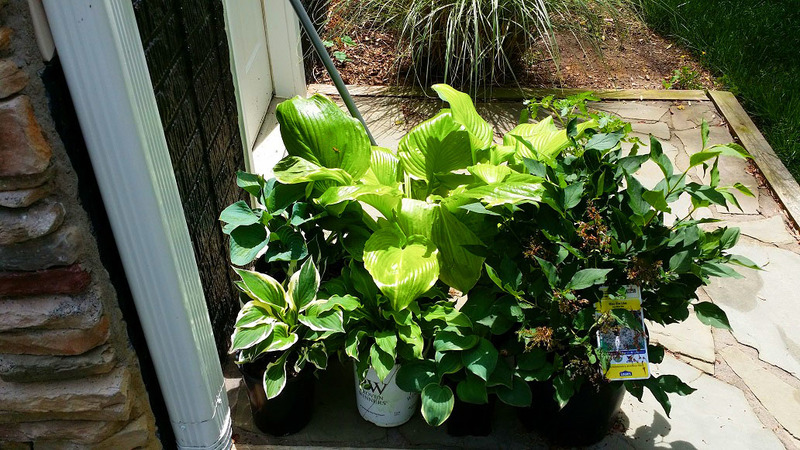 I had to face the music when after this past winter, I noticed that a lot of my perennial plants didn't make it through the winter. When pulling them up from the ground, the whole underside of the plant/root ball had been devoured and a telltale tunnel underneath the root ball made me face the facts. I had voles, and a lot of them. Voles particularly like to tunnel around areas that are covered with mulch, as that protects them from being spotted by predators. Unfortunately for me, all of my mulched areas are also my garden areas, including my veggie garden. 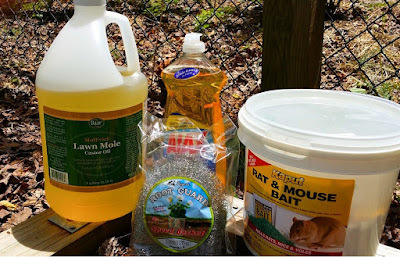 I've been using an arsenal of methods to try and control/kill them: Castor oil with dish soap, poison, and "chain mail" for plants. 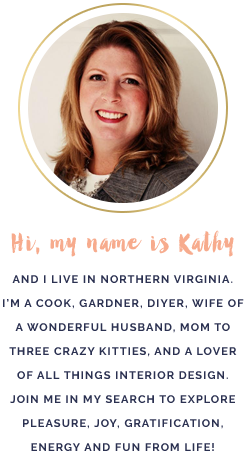 Before you get upset, that Kaput Rat & Mouse Bait is Warfarin based (blood thinner) and the least harmful of the rodentcides to other, non-targeted animals. Basically, a vole would have to eat this bait for several days straight to have enough of it in its system to kill it. Unlike regular mice or rats, voles take their food down to their dens and will stay there to eat and die. If for some reason, a hawk or cat eats one of voles that has eaten this bait, it would not hurt them. A dog would have to eat 5 or 6 voles at one time, that have eaten this bait for several days, for it to have any effect on the dog. I am using these authorized bait stations. 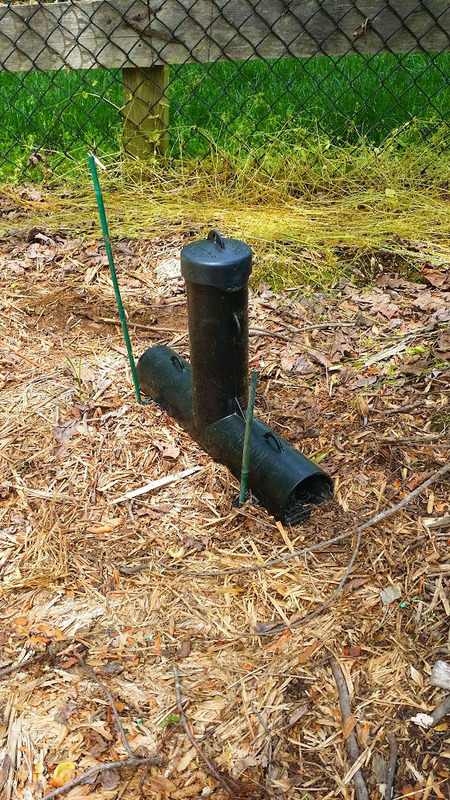 It is baffled system and prevents other animals like raccoons or opossums from getting to the bait. So far, I am unsure of it's effect, but it can't hurt. The castor oil, mixed with dishsoap, and then applied using a hose-end sprayer, seems to be having the most effect. The castor oil makes the voles' skin itch, so they leave the area. You have to really soak an area well to get the best effect. So, knowing all this, I bought some hostas last week. Apparently, hostas are vole candy and I am a glutton for punishment. 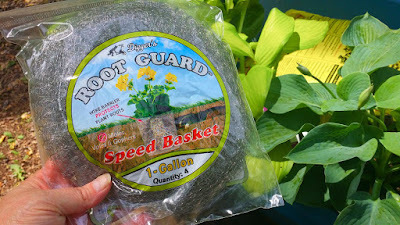 But, this time I am planting them using these Digger's Root Guard Speed Baskets. 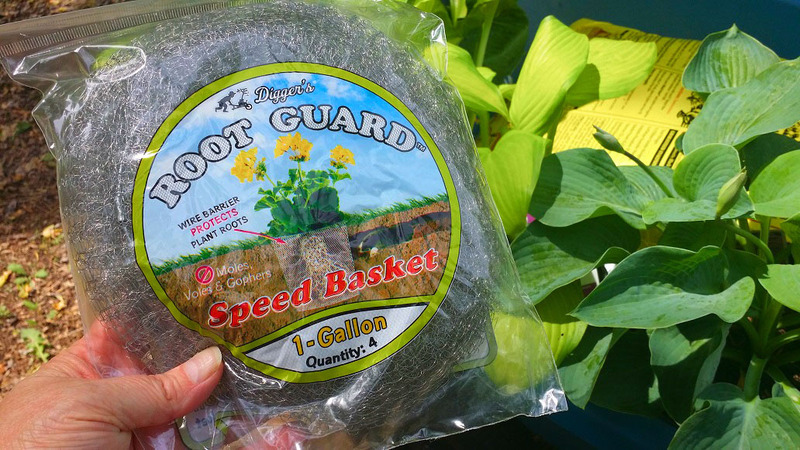 They just roll up over the root ball like a sock before you plant them. I like to consider them as "chain mail" for plants. There is a concern the root guards will restrict the root ball as it grows, but they are a little flexible and I'm thinking the feeder roots will be able to grow through the holes. 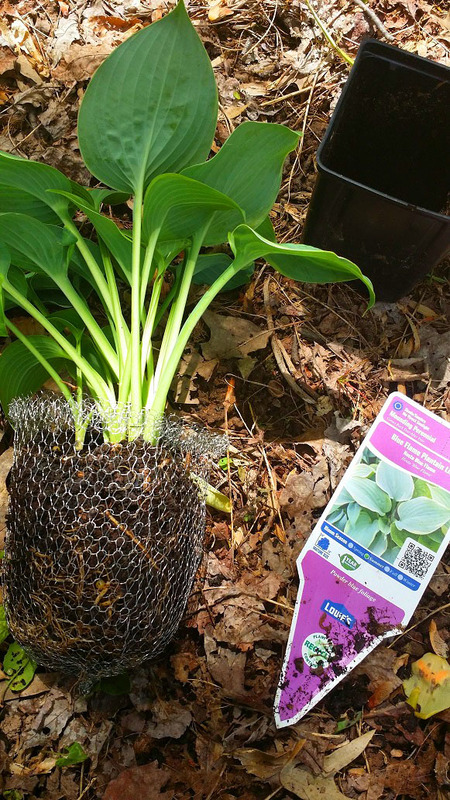 If these work and the hostas need upgrading to a larger size at a future date, I'll just do it then. I guess it's no difference from transplanting a plant to a larger pot.